If your looking for a new boiler, there’s a good chance your overwhelmed. From installation costs, to size, energy savings and even the cost to relocate your appliance. Don’t want to trawl 100s of pages to find the answer? Fear not. Over the past few years, we’ve published 100s of guides relating to old and new boilers. We thought it was about time that we put all guides together into a new boiler FAQ. Have a flick through the questions below and click through to find the answer. Can’t find what you’re looking for? Email us here, and we’ll put together a guide as soon as possible. Our boiler sizing guide can be found here. For average properties, you’ll be looking at a 24kw-30kw boiler which even from a leading brand, could be under £1,000, more if it’s oil, rather than gas. Which Is The Best Boiler To Install? Read our guide to the best boiler brands. It’s hard to recommend specifics, without spec’ing your property. Your engineer will suggest the best boiler for your property based on type (combi, conventional etc), fuel type (oil, gas, LPG, electric), price and size. Expect for prices for boiler replacement to start at around £1,700. That’s for a 24kw basic gas installation. Prices will increase for larger boilers, and even more so for oil installations. 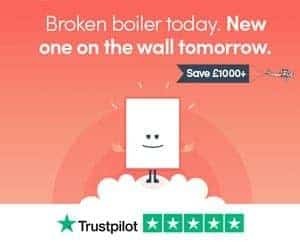 Can I Get A Boiler For Free? There’s a guide on free boilers for pensioners here. It’s unlikely you’ll get a free boiler if you’re not on Pension Guarantee Credit. I Have A New Boiler, How Much Just For Fitting? The labour fitting cost is likely to make up £500-750 of the replacement cost. How Do British Gas, BOXT and Local Installers Compare In Terms Of Price? My opinion is it’s worth comparing BOXT with local installers. Other national installers asides from BOXT, tend to cost £100s more than they need to. I Want To Move My Boiler To A New Location, Is That Possible? It sure is, we’ve created a guide to the costs relating to relocating a boiler here. I Need A Full Central Heating System. No problem. The cost of central heating installation can be found here. How Much Will It Cost To Upgrade My Boiler, And Fit Additional Radiators? This guide includes costs related to moving, adding and installing radiators. Do I Need A Filter For My New Boiler? Magnetic system filters are the first line of defence for your boiler. It should be combined with dosing the system with a central heating inhibitor. We’d advise having one fitted (check which quotes include a filter, as one that’s inclusive, could be offering up to £200 of additional value for the same price). We’ve wrote a guide on magnetic boiler filters here. How Much Money Will I Save By Installing A New Boiler? Old boilers become unreliable, so there’s a good chance you’ll be spending money on boiler repairs. And, the Energy Saving Trust has a useful chart here, which shows the potential savings on your energy bills; up to £305 per year. 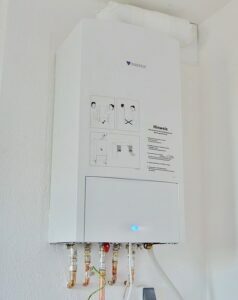 Upgrading your central heating system or looking for a new boiler, and not found a resource that answers your question? Got a hot tip that could help our readers save cash when it comes to replacing their boiler? Drop us a line by leaving a comment below or using this contact form. We’ll answer as soon as possible and write up a guide that answers your question in detail.